When looking for New York Carpet Tile, 212Carpet.com carries a full line of carpet tile flooring for homes and corporations by the major manufacturers such as Shaw, Queen, Philadelphia, Mohawk, Aladdin, Durkan, Bigelow, Karastan, Lees, Holytex, Mannington, Masland, Milliken, Patcraft, Cambridge, Aqua, and Blueridge. The benefits to connecting Carpet Tile New York are numerous, beginning with easy fitting. The carpet tiles cut easily, thus adjusting the size to fit odd proportioned areas are no problem. Should the carpet stain, only the stained carpet tile need be replaced, however with broadloom carpets the entire carpet must be replaced. In using commercial carpet tiles, which are heavily trafficked upon, merely replacing the worn down carpet tiles would be a significant cost savings as well. Choosing carpet tile also allows you greater design leeway, where patterns and designs using miscellaneous carpet tiles can be affected to create a custom, unique look for any room. NYC commercial carpet tile installation, Manhattan commercial carpet tile installation, Brooklyn commercial carpet installation, Queens carpet tile fitting, Long Island carpet tile installation, Nassau County carpet tile installation, Suffolk County carpet tile installation, Bronx carpet tile installation is provided by 212Carpet.com. Our price match guarantee ensures that no matter where you look for carpet tile prices, you won’t find lower prices than ours. Contact 212Carpet.com today for New York carpet tile pricing. When looking for New York commercial carpet, there are many factors in deciding the type of carpeting your business needs, such as the amount of traffic the carpeting will endure. 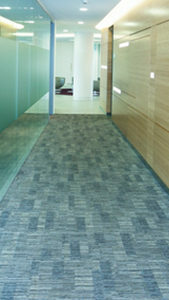 212Carpet.com carries resilient as well as stain-resistant carpets, which is a benefit for our commercial customers. Whether the business is an office, hotel/motel, apartment complex, restaurant, education or medical facility, 212Carpet.com has the Commercial Carpet New York which will add beauty, versatility, and style to your business. We have guidelines to best help you decide on the type of commercial carpeting you will need. Our cut/loop and commercial loop carpets blends well with any decor, looks great between vacuuming, and the durable long-wearing surface pile is engineered for high traffic areas. Shaw, Queen, Philadelphia, Mohawk, Aladdin, Durkan, Bigelow, Karastan, Lees, Hollytex, Mannington, Masland, Milliken, Patcraft, Cambridge, Aqua, Blue Ridge, J&J Invision. We have completed many commercial carpet installation jobs in the New York metro area. 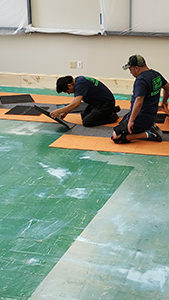 All our commercial carpet installation jobs are backed by licensed, certified commercial carpet installers in addition to providing full insurance for installation. If you are seeking commercial carpeting in Manhattan, NYC, Brooklyn, Long Island, the Bronx, Westchester, Nassau County, Suffolk County, be sure to give us a call so you can get our 110% price match guarantee. Our price match guarantee ensures that no matter where you shop, or where you search for commercial carpet prices in New York, you won’t find prices lower than ours. When deciding on home carpeting, there are various factors to consider. 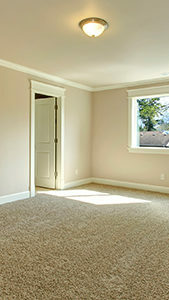 The Residential Carpet Long Island experts at 212Carpet.com can help you find the proper carpeting for your home. Is the carpeting to be installed in a bedroom, living room or a child’s playroom? Style, as well as durability, are amongst the top considerations when deciding the type of home carpet. Nearly all carpet is made from synthetic fibers, which are more resistant to stain, yet natural fiber carpets tend to resist crushing from traffic. Textured plush carpets adds casual beauty to any room, looks great between vacuuming, is the preferred style for busy households and is a great whole-house carpet. Saxony carpets have a refined cut-pile surface, luxuriously smooth, soft finish, adds distinctive elegance to any room, shows subtle highlights and accents and is ideal for residential living and dining rooms. For a casual or child’s room, Berber Cut-Pile is ideal as it has the great plush feel of thick, cut pile carpet, is beautifully crafted, it is decoratively versatile and the subtle color flecks helps hide soil which may appear between cleanings. 212Carpet.com carries a full line of residential carpeting, including: Shaw, Queen, Philadelphia, Mohawk, Aladdin, Durkan, Bigelow, Karastan, Lees, Holytex, Masland, Milliken, Tuftex, Cambridge, Aqua, Blueridge, Wunda Weave, Stanton, Couristan, Coronet. We have completed many residential carpet installation jobs in the New York metro area. All our residential carpet installation jobs are backed by licensed, certified residential carpet installers in addition to providing full insurance for installation. When seeking residential carpeting in the New York metro area, Manhattan, Queens, Brooklyn, Bronx, including Long Island, Nassau County, Suffolk County and Westchester, be sure to give us a call so you can get our 110% price match guarantee. We guarantee you won’t find prices lower than ours. At 212Carpet.com we carry a full line of laminated flooring products for your laminate floor installation projects. We carry a full line of laminate flooring products from products that look like tile flooring, inlaid wood, medallion designs for a one of a kind look, products that mirror natural hand-scraped products. Laminate floor brands we carry are Bruce, BHK, Colombia, Dupont, Balterio, Krontex, Tarkett, Mohawk, Shaw, Wilsonart, Quick Step. Contact us to inquire about other laminate floor brands. We provide NYC carpet installation, Manhattan laminate flooring installation, Brooklyn laminated flooring installation, Queens laminated flooring installation, Long Island laminated flooring installation, Nassau County laminated flooring installation, Suffolk County laminated flooring installation, Bronx laminated flooring installation. We have completed many laminated flooring installation jobs in the NY metro area. All our laminated flooring installation jobs are backed by certified laminated flooring installers in addition to providing full insurance for laminate flooring installation jobs. We are also licensed for laminated flooring installation jobs. If you are looking to get laminated flooring installation in Manhattan, Queens, Brooklyn, Bronx, Long Island, Suffolk County, Nassau County, Westchester, give us a call so you can get our 110% price match guarantee. At 212Carpet.com, we carry a full line of vinyl tile flooring products for your New York vinyl tile flooring installation projects. As a versatile flooring product, vinyl tile is durable, moisture-resistant, easy to care for and is a superior flooring solution for any room in your house. We carry a full line of vinyl tile flooring products from that look like tile flooring, inlaid wood medallion designs for a one of a kind look, and products that mirror natural hand-scraped products. The vinyl tile brands we carry are Forbo, Amtico, Mirra Estrie, Mannington, Tarkett, Domco, Armstrong. Contact us to inquire about other vinyl tile brands. 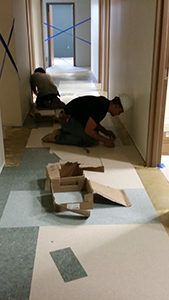 212Carpet.com provides NYC vinyl tile installation, Manhattan vinyl tile installation, Brooklyn vinyl tile installation, Queens vinyl tile installation, Long Island vinyl tile installation, Nassau County vinyl tile installation, Suffolk County vinyl tile installation, Bronx vinyl tile installation, Westchester vinyl tile installation. No matter where you shop in New York for vinyl tile flooring, our price match guarantee ensures you won’t find prices lower than ours – call Vinyl Tile Flooring New Jersey today to get our 110% price match guarantee. At 212Carpet.com, our New York Wood Flooring experts have many years experience with the sales and installation of the many types of wood floors such as hardwood floors, engineered wood floors and laminate wood floors, and will help you be better prepared as to the type of flooring best suited for your home, in reference to floor’s location and the type of subfloor, as well as if the room is above or below ground level (grade). We carry a full line of wood flooring products for your wood flooring installation projects, such as traditional wood flooring, bamboo wood flooring, and specialty wood flooring. The wood floor brands we carry are Bruce, Anderson, BA Mullican, Mirage, Tarkett, Armstrong, Mannington, Mohawk, Shaw, Robbins, and Zickgraf wood floors. Contact us to inquire of other brands we carry. When looking for solid wood floors, domestic and exotic floors include red and white oak, American cherry, hickory, maple and Brazilian cherry, are susceptible to humidity/temperate changes, and are available in several widths. 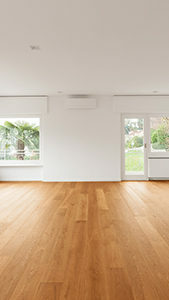 Solid wood floors of this type should only be installed above grade. The construction of engineered wood floors makes them less prone to expansion/contraction caused by humidity. Engineered wood floors can be installed on any level within the home, over a variety of subfloors. The hardwood floors collections consisting of the finest exotic hardwoods found worldwide will offer unique and striking appearances not found in North American hardwoods. Unfinished wood floors need several days of installation, including staining and finishing, while pre-finished floors can be installed and completed the same day. Pre-finished wood floors with factory applied Scotchgard or Crystal Shield finishes are extremely durable. 212Carpet.com provides New York wood flooring installation, Manhattan wood flooring installation, Brooklyn wood flooring installation, Queens wood flooring installation, Long Island wood flooring installation, Nassau County wood flooring installation, Suffolk County wood flooring installation, Bronx wood flooring installation, Westchester wood flooring installation. When looking for wood flooring prices, contact us so you can receive our 110% price match guarantee. When shopping for Wood Flooring New York, you won’t find prices lower than ours. Contact us for your New York wood flooring needs. For your New York linoleum flooring needs, 212Carpet.com carries a full line of linoleum products. We carry a full line of linoleum flooring that looks like tile flooring, inlaid wood medallion designs, and that mirror natural hand-scraped products. The linoleum brands we carry are Forbo, Amtico, Mirra Estrie, Mannington, Tarkett, Domco and Armstrong. Contact us for inquiries as to the linoleum brands we carry. 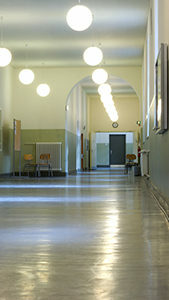 Due to its durability, Linoleum is a popular high-traffic area flooring product. It does not show scratches or scuffs as other flooring products, and is very resilient. Linoleum flooring also does not produce static electricity. It is waterproof, does not easily burn, making this a suitable flooring for kitchens. A natural product, linoleum is manufactured from linseed oil, rosin, and cork powder. 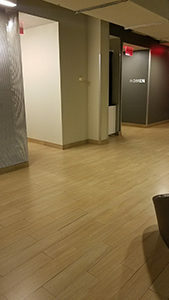 We provide New York City commercial carpet installation, as well as Manhattan linoleum installation, Queens linoleum installation, Brooklyn linoleum installation, Bronx linoleum installation, Long Island linoleum installation, Nassau County linoleum installation, Suffolk County linoleum installation, Westchester linoleum installation. Our price match guarantee ensures that no matter where you shop, where you search for linoleum flooring prices in NYC, you won’t find prices lower than ours. Contact us for pricing for New York linoleum flooring. At 212Carpet.com, we carry a variety of natural stone tile flooring such as marble tile, granite tile, porcelain tile, ceramic tile, travertine tile, slate tile in a variety of sizes ranging as small as 4x4 for bathroom area, and mosaic tiles all the way up to 12x12, 16x16, 18x18, 24x24 for large open areas such as living rooms and business sales areas. 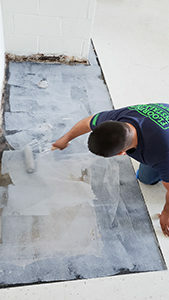 We not only supply and install your Natural Stone Tile Flooring Brooklyn, but we also handle full sub floor preparation whether it requires to re-support floor joists, install new cement boards, or installing a new sub floor with mud and wire mesh. 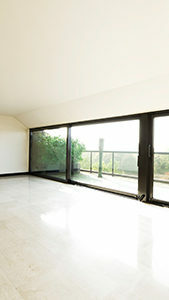 We also provide only installation if you have already purchased your own materials. We provide NYC natural stone tile flooring installation, Manhattan natural stone tile flooring installation, Brooklyn natural stone tile flooring installation, Queens natural stone tile flooring installation, Long Island natural stone tile flooring installation, Nassau County natural stone tile flooring installation, Suffolk County natural stone tile flooring installation, Bronx natural stone tile flooring installation, Westchester natural stone tile flooring installation. Be sure to give us a call so you can get our 110% price match guarantee. Our price match guarantees that no matter where you shop in New York for natural stone tile flooring, you won’t find prices lower than ours. For inquiries about New York natural stone tile flooring, contact 212Carpet.com today. After your installation we strongly suggest to create a cleaning maintenance schedule with your salesperson, getting your new investment maintained with cleaning and stain treatment prolongs the life of your carpet from staining and soiling. Please find below pdf of maintenance protocols and literature from some of the biggest carpeting manufacturers in addition to some basic knowledge. The beauty and life of your carpet depends on the care it receives. Proper cleaning will keep it looking great for its full lifetime, help improve your indoor air quality and keep your carpet warranties intact. Cleaning your carpet properly is easier than you think. All it takes is a little knowledge about how to select the right carpet cleaning products and the right way to clean your carpet. The CRI Seal of Approval program helps you easily identify effective carpet cleaning solutions, equipment and service providers that clean carpet right the first time, without the fear of faster resoiling, stains reappearing or damage to your carpet or the environment. For New York carpet cleaning, 212Carpet.com offers hot extraction system cleaning, which is recommended by carpet manufacturers for all residential and commercial carpet cleaning services. 212Carpet.com also offers exceptional upholstery cleaning for such items as office chairs, drapes, sofas and cubicles. We recommend professional carpet cleaning at least once a year. We are known for using only the most tried and tested cleaning methods, state of the art equipment and environmentally friendly chemicals and cleaning agents, which are safe for your family and employees as well. It is important to us that the leading manufacturers and suppliers in their respective fields recommend the methods and cleaning agents we have chosen. 212Carpet.com has a record of success as well as vast experience in the cleaning and maintaining of all commercial carpets and residential carpets, area rugs, wooden floors, upholstery, air ducts, tiles and grout. We also specialize in water, flood and fire damage restoration. New York carpet cleaning, Brooklyn carpet cleaning, Manhattan carpet cleaning, Queens carpet cleaning, Bronx carpet cleaning, Long Island carpet cleaning, Nassau County carpet cleaning, Suffolk County carpet cleaning. Our price match guarantees that no matter where you look for carpet installation and carpet cleaning prices, you won’t prices lower than ours. When you need professional New York carpet cleaning, contact 212Carpet.com for an estimate. Carpet Flooring Repair Service New York 212Carpet.com, as New York carpet repair experts, understands that not all installations come out perfect, whether you have just had one bedroom carpet installed in your home, or had your whole office carpeted, problems do arise. At 212Carpet.com we offer flooring repair service for carpeting that has buckled up, carpeting that is unraveling, carpet seams that are open, re-gluing carpet back down to the sub floor, repairing burned carpet, as well as carpet patching. If your carpet is heavily soiled or stained, or was subjected to flood or fire, we offer carpet cleaning and restoration, which will bring the luster back to your carpet. Whatever your case may be, we guarantee we have the solution. We have completed many carpet installation jobs in the NY metro area. All our carpet installation jobs are backed by certified carpet installers, in addition to providing full insurance for carpet installation jobs. We are also licensed for carpet installation jobs. Our experts have completed many NY metro carpet flooring repair jobs, Manhattan carpet flooring repair, Queens carpet flooring repair, Brooklyn carpet flooring repair, Bronx carpet flooring repair, Long Island carpet flooring repair, Nassau County carpet flooring repair, Suffolk County carpet flooring repair, Westchester carpet flooring repair – when looking for New York carpet flooring repair services, be sure to give us a call-you won’t find prices lower than ours. Contact the New York carpet repair experts at 212Carpet.com if you need a flooring repair service for your home or business.